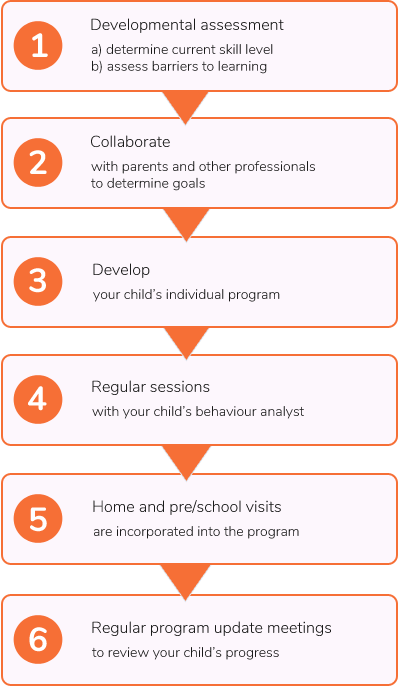 Bright Eyes Early Intervention provides comprehensive early intervention programs based on the principles and techniques of Applied Behaviour Analysis (ABA). 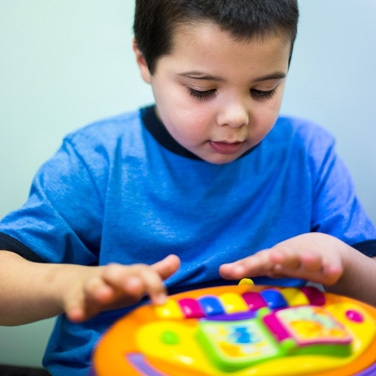 The science of ABA is used as the foundation of our early intervention programs. ABA has an extensive empirical research base supporting its use as best practice within the field of early intervention and Autism. Daily living skills such as toileting, eating, feeding, dressing etc. Parental involvement is one of the key elements to a successful early intervention program. Our behaviour analysts work closely with parents so they can continue the intervention process within the home. Service delivery is flexible based upon the needs of your child. Programs are designed based upon a number of teaching techniques. Examples of these include Natural Environment Training, Verbal Behaviour, Functional Communication Training, and Discrete Trial Teaching. Our behavior analysts work directly with your child, as well as supervising the therapy team and developing and updating their program. Bright Eyes Early Intervention is a private early intervention service. It is available to children with an Autism Spectrum Disorder, other diagnosed disabilities, children who have a delay in one or more areas of their development, or for children who have other specific needs. Age: Intake for early intervention is for children aged between 1 and 7 years. We do offer services beyond the age of 7 for less intensive intervention. You do not need a referral to access Bright Eyes services. Children diagnosed with Autism Spectrum Disorders can access funding for this service through the National Disability Insurance Scheme.